Last year, markets were buffeted by several unforeseen events, and the trend seems to be continuing in the early weeks of 2017. The temptation to panic and seek returns in complicated investments can be great. 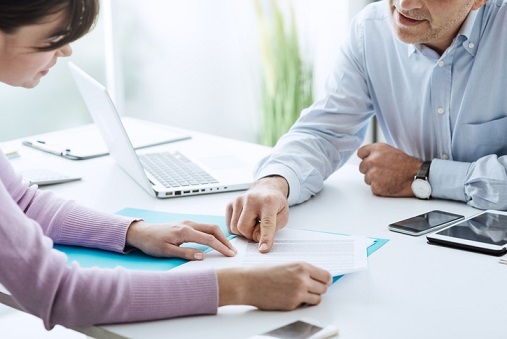 But Markus Muhs, an Investment Advisor and financial planner at Canaccord Genuity Wealth Management, knows from experience that keeping things simple and steady can be the best solution. He shares his story and insights below. WP: Why did you choose to enter the financial services industry? What do you find most fulfilling about it? Muhs: Honestly, I really just got pulled into it after graduating university. After job-hunting for around half a year I decided to play it safe and applied for a job at the call center for one of the major banks. I was hired, along with 20 other people, and found that I really like to help people make the right decisions about their finances. At the time, it was just making sure they had the right chequing account and were putting a bit aside in savings, but after three years, I moved up to the role of Financial Planner at the bank, got my CFP designation, and was eventually helping over 100 families plan every financial step of their life. What I find fulfilling about it is the effect I can have, in aggregate, on the financial wellbeing of a fairly large number of people. If every Canadian had a properly accredited financial planner, I believe we as a society would be so much better off. WP: You started your career with a large investment firm during the financial crisis in 2007. What was it like to be a greenhorn during one of the most turbulent periods in recent economic history? Muhs: That was actually the best time to be growing a book of clients, as many competitors were hiding under their desks or leaving the industry. At first I was scared for my job. I took a bit of a pay-cut going from a mostly salaried position as a personal banker to having to build my own business if I wanted to see a higher income. The best advice I ever got was listening in on a conference call in the fall of 2008 hosted by Nick Murray and hearing him calmly profess that “this too shall pass” and that history proves that every bear market is simply a temporary interruption to a long-term permanent up-trend. WP: Who, if any, were the mentors or peers that helped you most during that time, or at any point during your career? How did they help you? Muhs: As mentioned above, I relied on US-based advisor-mentor Nick Murray during the worst time and I still subscribe to his newsletter to this day. Through his guidance, I have learned that the greatest value professional investment advisors can add for clients is not necessarily through stock picking or overly sophisticated products, but simply by coaching our clients through good times and bad and helping them to avoid big mistakes. I believe that being a professional investment advisor is 75% behavioral counselling and roughly 25% numbers and research..
WP: Several events during the past year have caused widespread volatility and uncertainty throughout the financial markets. Do you see any similarity between investors' reactions then and how they reacted back in 2007? What do you think that says about the markets? Muhs: In general, I think 2008/2009 is still recent enough in many investors’ memories that people now know better than to panic. However probably the investors showing the greatest concerns are the ones who really only started investing this century, who haven’t seen real long-term returns. The primary concern from this group is “is this bull market over?” and, after having only experienced range-bound markets from around 2000 to 2011, I believe that many think that in order to capture any long-term returns, one has to find an exit point. This might be why a drawdown of a mere 12-14% last year spooked a lot of people, as historically such drawdowns are pretty average and should happen every year or two. WP: Recently, you shared your thoughts on the importance of keeping investment portfolios simple with ETFs (and mutual funds) rather than individual stocks or alternative investments. Do you think developments such as new reporting rules under CRM2 and the proposed elimination of trailers can affect investor appetite for complicated instruments? Muhs: I think CRM2 just emphasizes the importance, for an advisor, to demonstrate value to clients. If your value proposition is that you’ll provide outsized returns and manage overly sophisticated portfolios that clients don’t fully understand, then I believe you’re fighting an uphill battle. Maybe some advisors out there can continue to be successful doing that, but in my experience, the law of averages disagrees. I provide my clients comprehensive financial planning and the behavioral investment counselling that is intended to help them grow and/or protect their wealth over the long-term, while providing an overall level of service that they won’t get dealing with a random person at their bank. WP: What lessons have you learned from your career so far that you think would be most applicable for investors or advisors as we go deeper into 2017? Muhs: For advisors I would say: identify and communicate the value you add for your clients and streamline your business so that you can properly deliver on that value. Don’t end up spending most of your time researching stocks or doing administrative things. For investors, I would advise not to invest one penny without first having a financial plan or at least an overall investment strategy. Such a strategy should not be “bet on some investments and hope for the best” but should include attainable long-term goals for your money. Realize also that over the long-term, geopolitical events have always happened and had absolutely zero impact on the long term values of stocks. For example, the Dow Jones was at around 1000 when I was born in the early 1980s, but despite the fact that the world was facing possible annihilation during the cold war and we had a litany of other issues, fiascos, and market crashes in the time since, the Dow Jones sits at over 20,000 today.